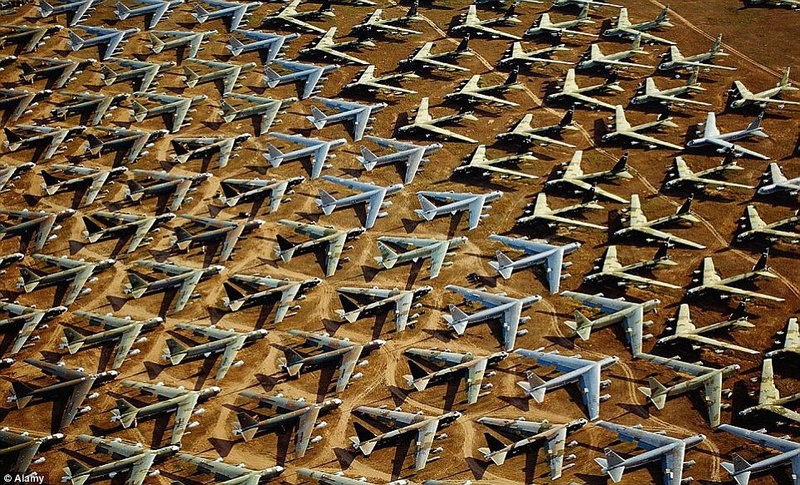 Microsoft Bing has produced a stunning high Resolution three Dimensional Interactive Map of the largest “plane graveyard” in the world – the Davis-Monthan Air Force Base, five miles South-South East of Tucson, Arizona. Commonly known as The Boneyard. The map uses satellite imagery to Allow users to explore the area in amazing three dimensional detail and see the planes from the side or from an aerial vantage point or to zoom in and take a closer look at the aircraft. The Davis-Monthan Airforce Base covers almost 2,600 acres (10.5 sq km) of desert and is home to the 309th Aerospace Maintenance and Regeneration Group (AMARG) who were established in 1946 to store planes after the end of the Second World War, and now take care of more than 4400 disused warplanes and fighter jets, worth $35billion (£22billion). These include everything from enormous cargo planes, B52 Stratofortress bombers dating back to the Cold War and Vietnam, C-130 Hercules freighters, A10 Thunderbolts and F-14 Tomcats all stored in meticulous rows. Each of the storage yards performs a variety of functions, some store aircraft that are between deployments and expected to return to the fleet. These are wrapped up almost ready to go, being kept as close to working order as possible in case they are needed in a new mission. When they arrive, they are washed, their fuel tanks drained and cleaned, ammunition and ejector seats removed and ducts sealed before they are covered back up.The first retired B-52 was recently brought back to life in The Boneyard and returned to duty after being upgraded. This particular 53-year-old Stratofortress was nicknamed the “Ghost Rider” and had been in storage at the desert since 2008. Elsewhere retired Aircraft carcasses are dismantled and useable parts are salvaged by workers including the Engines, munitions, wiring and electronics which are all inspected, overhauled, and then held until needed by active aircraft in order to lower the cost of maintaining the current-day fleet or they are sent out to air bases across the world as spares. The Boneyard has also been the backdrop for many films, television series and music videos, including Transformers: Revenge of the Fallen. LNER 4468 4-6-2 Paciflc class locomotive Mallard was built at Doncaster, England 3 March 1938. While in other respects a relatively typical member of its class, it is historically significant for being the holder of the official world speed record for steam locomotives. Mallard was designed by Sir Nigel Gresley as an express locomotive to power high-speed streamlined trains. Its wind-tunnel-tested, aerodynamic body and high power allowed it to reach speeds of over 100 miles per hour (160 km/h), though in everyday service it was relatively uncommon for any steam hauled service to reach even 90mph, much less 100. 1948 Locomotive Exchange Trials In 1948, shortly after the formation of British Railways, the decision was taken to test locomotives from all of the former ‘Big Four’ companies to find the best attributes of speed, power and efficiency with coal and water. There were two ways of testing and comparing locomotives: either at the Rugby Locomotive testing plant, which was not ready until late 1948 or by testing in the field itself. The results of these trials would be used to help design the British Railways Standard design of locomotives. The express passenger locomotive designs which would be compared were: London Midland Region (former LMS) Princess Coronation class, Eastern Region (former LNER) Class A4, Southern Region (former Southern) Merchant Navy class and Western Region (former GWR) 6000 Class or King class. Three Gresley A4 locomotives were chosen to represent the Eastern Region: E22 Mallard, 60033 Seagull and 60034 Lord Faringdon. All of the locomotives had the Kylchap double blastpipe chimney arrangement and were fresh from Doncaster works. Mallard had emerged from Doncaster with a fresh coat of post-war garter blue livery, stainless steel numbers 22 with a small ‘E’ painted above them (for Eastern region), new boiler (her fourth) and third tender of her career. E22 Mallard was used on 8 June 1948 on the Waterloo-Exeter route. Driver Marrable took the famous A4 with a load of 481 tons tare, 505 tons full, the same that had been used on the previous trip by 35018 British India Line. Mallard got through Clapham Junction in 6 minutes 57 seconds, Woking in 28 minutes 47 seconds. At Hook there were adverse signals, causing Mallard to slow to a crawl. Even so, Salisbury was reached in 108 minutes and 28 seconds. Despite the signals earlier, the train was only 5-and-a-half minutes late. The net time was 95.5 minutes. Mallard failed after this trial and 60033 Seagull took over. 10 June saw Seagull achieve the run in 96 minutes 22 seconds, but had departed 3 minutes late, meaning Seagull had arrived with the same load 3.5 minutes early. For Mallard, the 1948 Locomotive Exchange Trials were over, but Mallard was to return to the Waterloo-Exeter line for a Locomotive Club of Great Britain (LCGB) railtour in 24 February 1963 after wch it was retired, having covered almost one and a half million miles (2.4 million km). It was restored to working order in the 1980s, and ran some specials between York and Scarborough in July 1986 and made a couple of runs between York and Harrogate/Leeds around Easter 1987. 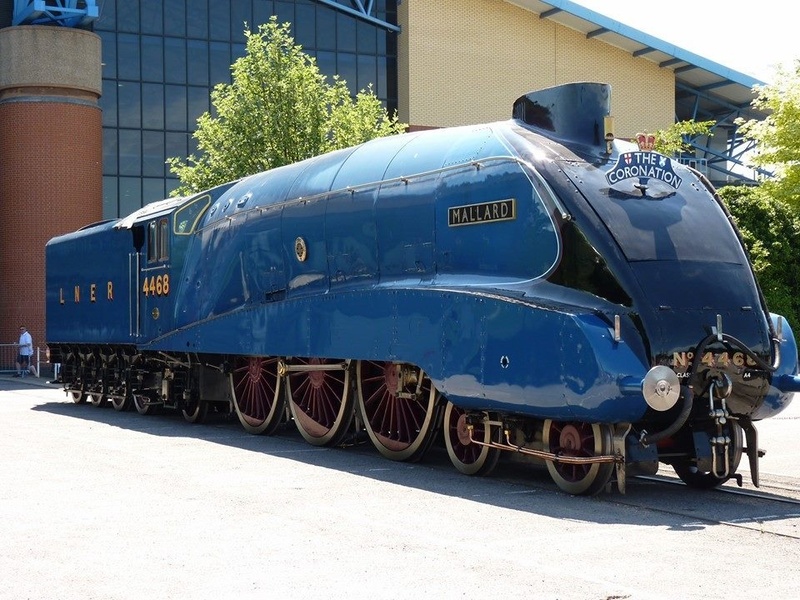 Mallard is now part of the National Collection at the United Kingdom’s National Railway Museum in York. On the weekend of 5 July 2008, Mallard was taken outside for the first time in years and displayed alongside her A4 sisters, thus reuniting all four A4s extant in the UK for the first time since preservation. She departed the museum for Locomotion, the NRM’s outbase at Shildon on the 23 June 2010, where she was a static exhibit, until she was hauled back to York on 19 July 2011 and put back on display in its original location in the Great Hall. Then In 2014 Mallard was reunited with The five other remaining A4 Pacifics (60019/LNER 4464 Bittern, 60007 Sir Nigel Gresley, 60009 Union of South Africa, Dwight D.Eisenhower and Dominion of Canada for the Great Gathering in the Great Hall at the National Railway Museum. Award Winning Afghan-born American novelist and physician Khaled Hosseini was born March 4, 1965. he has lived in the United States since he was fifteen years old. 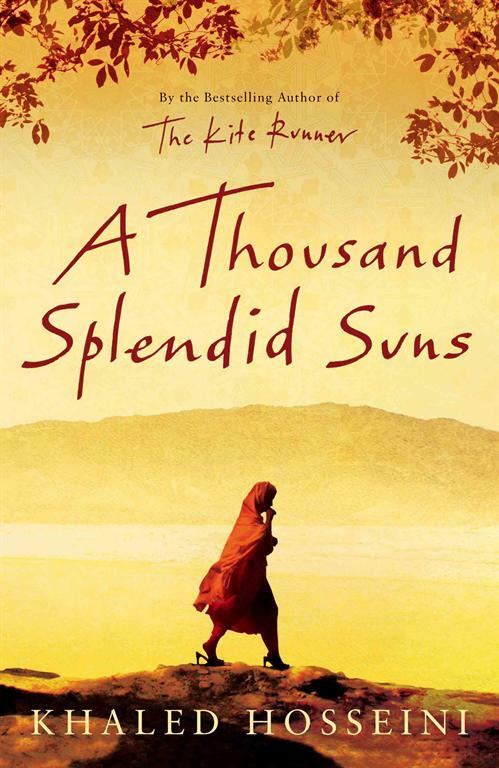 His 2003 debut novel, The Kite Runner, was an international bestseller, with the paperback spending 101 weeks on the bestseller list In 2007, it was followed by A Thousand Splendid Suns which has spent 21 weeks on The New York Times Best Seller list for paperback fiction and 49 weeks on The New York Times Best Seller list for hardcover fiction (#1 for 15 of those weeks). The two novels have sold more than 38 million copies internationally. Hosseini was born in Kabul, Afghanistan, in 1965. In 1970 Hosseini and his family moved to Iran where his father worked for the Embassy of Afghanistan in Tehran. In 1973 Hosseini’s family returned to Kabul, and Hosseini’s youngest brother was born in July of that year.In 1976, when Hosseini was 11 years old, Hosseini’s father obtained a job in Paris, France, and moved the family there. They were unable to return to Afghanistan because of the Saur Revolution in which the PDPA communist party seized power through a bloody coup in April 1978. Instead, a year after the Soviet invasion of Afghanistan, in 1980 they sought political asylum in the United States and made their residence in San Jose, California.Hosseini graduated from Independence High School in San Jose in 1984 and enrolled at Santa Clara University, where he earned a bachelor’s degree in biology in 1988. The following year, he entered the University of California, San Diego, School of Medicine, where he earned his M.D. in 1993. He completed his residency in internal medicine at Cedars-Sinai Medical Center in Los Angeles in 1996.